When should a cocktail be shaken and when should it be stirred? It's one of the burning questions of the bar and one of much debate. 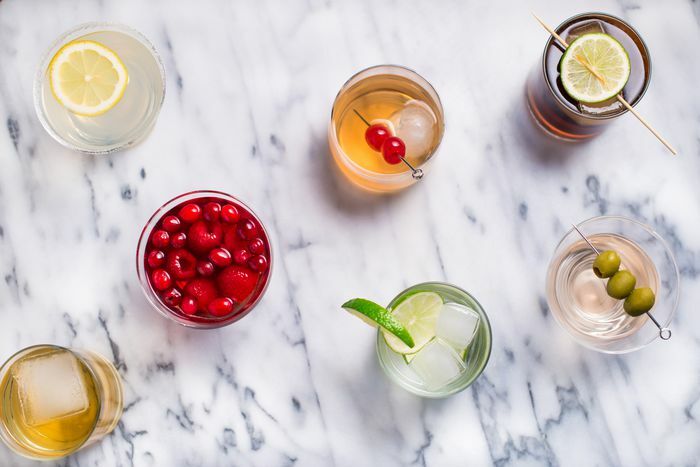 As you browse cocktail recipes, you will notice that some instruct you to shake while others suggest that you stir the drink. The debate of shaken versus stirred cocktails is hot, especially when talking about the famous martini or any of the other spirit-only cocktail recipes out there. Is there a theory behind which method to choose? Yes, there is a general rule (as rules go in bartending, anyway). There are always exceptions, so it is best to follow a recipe's instructions or experiment with both to see which method makes the best cocktail in your eyes. The rules say that you should shake cocktails when the recipe includes fruit juices, cream liqueurs, simple syrup, sour mix, egg, dairy or any other thick or flavorful mixers. Essentially, use the shake whenever you need to ensure that every ingredient is fully integrated into the finished drink's flavor. 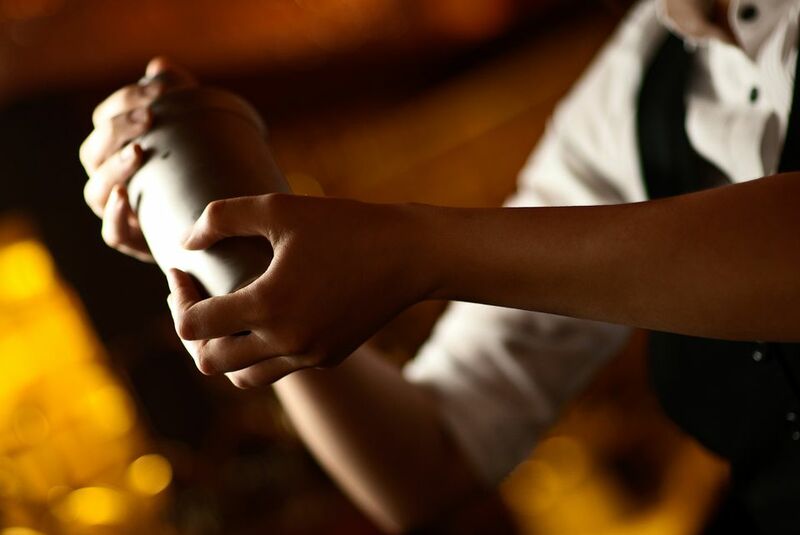 Shaking will create a drink with a cloudy, effervescent look at first. This will clear up within a few minutes after straining. Due to the more violent nature of the shake, this method will also break down more ice and add a greater amount of water to the drink. This dilution is actually a good thing because it creates a well-balanced cocktail in which all the ingredients become one flavor. Chocolate martini: Most chocolate martini recipes include a chocolate liqueur or cream, so they're almost always shaken. Cosmopolitan: One of the most popular cocktails, the cosmopolitan is shaken because one of its main ingredients is cranberry juice. Mai tai: This classic tiki cocktail uses as many as six ingredients, depending on the recipe. That's a lot of flavors that need to become one, so shaking is essential. New Orleans fizz: This recipe includes both egg and a dairy product, so shaking is your only option. In fact, egg drinks are best when shaken without ice (dry shake), then shaken a second time to ensure the egg is completely broken up. Ward eight: Whiskey is the only liquor in this cocktail, so it's important to shake it to ensure that the lemon juice is fully integrated with the two thick syrups. Stir cocktails that include distilled spirits or very light mixers only. Stirring is a gentler technique for mixing cocktails, though it's often done for at least 30 seconds, which is longer than the typical shake. It is used to delicately combine the drinks with a perfect amount of dilution from the ice. Many gin and whiskey cocktails are stirred because shaking is said to "bruise" the spirit (though that is also up for debate). Imperial cocktail: A classic recipe, this is a lot like the gin martini, though maraschino liqueur is added. To retain the delicate balance of flavor, it's best stirred. Manhattan: Two ingredients—whiskey and sweet vermouth—make the Manhattan a perfect candidate for stirring. Negroni: This recipe is built in the glass over ice and it only includes liquors. For this reason, it's best stirred. This shaken versus stirred "rule" refers to cocktails and not necessarily mixed drinks, which are built directly into the glass (think vodka tonic and screwdriver). These are almost always stirred and served with a sipstick or straw for further fine-tuned stirring as the drink is consumed. The point of either shaking or stirring (beyond mixing the ingredients, of course) is to add dilution from the ice. If either technique is done properly, the agitation will add the perfect amount of ice-cold water and bring the flavor of your cocktails into balance. Don't skip either thinking that the shortcut will produce an equally good drink. Take an extra thirty seconds of your time to properly mix your cocktails and you will have a much more enjoyable drink.